Ken Engelhart practices communications, privacy and public policy law. He recently stepped down as Senior Vice President of Rogers Communications. For 25 years, he was responsible for the regulatory affairs of Rogers Wireless, Rogers Cable, Rogers Telecom and Rogers Media (including Rogers Broadcasting). He provided legal, regulatory and policy advice to Rogers Communications and represented it before the Canadian Radio-Television and Telecommunications Commission (CRTC) and other agencies. In 1987, after five years of private legal practice in Toronto, Mr. Engelhart joined the Canadian Business Telecommunications Alliance as General Counsel and Director of Regulatory Affairs. In 1990, he joined Rogers Communications as Legal Director, Regulatory Affairs. He became a Vice President in 1992 and assumed leadership of the regulatory department in 1999. Mr. Engelhart has appeared before the CRTC in most of the major telecommunications and broadcasting proceedings of the past 25 years. He is an Adjunct Professor at Osgoode Hall Law School, teaching Communications Law. 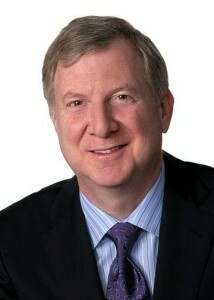 He is a past Board Member and Chair of the Canadian Wireless Telecommunications Association. Mr. Engelhart holds a BA (Hons) in Economics from the University of Western Ontario, and an LL.B. from the University of Toronto. He was admitted to the Ontario Bar in 1982.